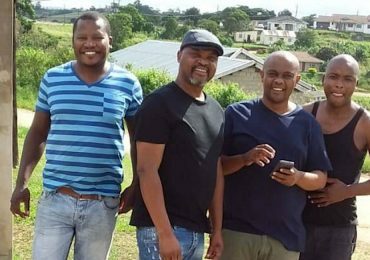 Two weeks before the end of our JIAS Fellowship, Niq Mhlongo and I decided that as we had been to Harare, and were set for Mbabane, we should also consider Gaborone. My partner James Murua, who had been in communication with the Gaborone Book Festival Trust, suggested that I get in touch with Kenanao Phele. 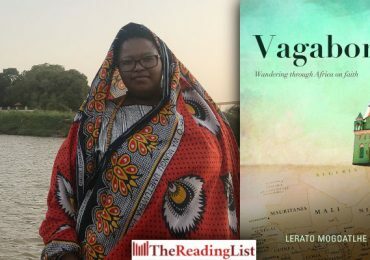 A conversation that started on Messenger would move to WhatsApp and emails, and soon we had secured a date for a public reading in Botswana, on 9 August 2018. I was pleasantly surprised at just how professional yet laid-back and friendly both Kenanao and her younger sister Keikantse, who make up two thirds of Gaborone Book Festival Trust, were (the third is Keikantse’s twin Katlego, currently a diplomat in Tokyo)—both in communication before our arrival and when we got there. The two sisters that we met, a banker and a lawyer respectively, while readers for a long time, told me that they had only over the last few years discovered contemporary literature from the continent. 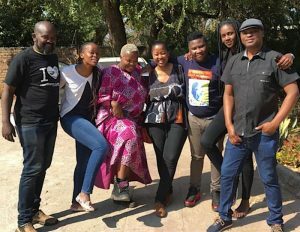 It was this discovery and their enjoyment of it that led them to registering Gaborone Book Festival Trust in October 2017—less than a year later, they were hosting their first festival. 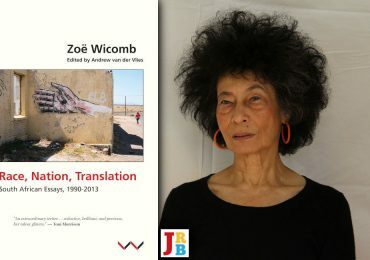 Meanwhile, though, we were there on the South African Women’s Day weekend, and that Friday night the University of Botswana auditorium, where we had our public readings, was packed in a way I have not seen for literary events in Johannesburg. With us were Motswana writer Bongani Malunga and photographer Monirul Bhuiyan. The sisters dubbed our event ‘the last book reading before the book festival’ and they had clearly advertised well. Those in attendance included one of my favourite academics, Dr Leloba Molema; my friend from primary school, Chanelle; and another from university days, Christine. 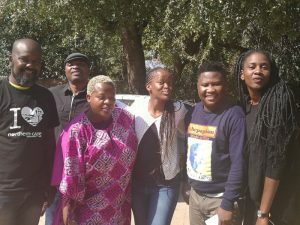 It was also good to chat with out-of-towners: arts journalist and blogger Keletso Thobega and author Lauri Kubuitsile, who generously drove from Mahalapye to come and support us. Lauri played host to perfection and gave us some long-lasting memories. On the first night, she took us for dinner and drinks where, at a little after 11 pm, the bouncer came and told us it was closing time. This was rather sad, as our playwright and thespian friend Donald Molosi had just joined us and the night was getting interesting. (When we did our follow-up trip for the Gaborone Book Festival, we realised that this was a pattern with Gaborone places. But let me not get ahead of myself.) Both Niq and I had workshops with Batswana writers during the day, and Lauri also took us to a musical performance out of town, where the crowd was well-heeled and well-behaved, except for one dudebro, who kept yelling at the lead singer, ‘Yes. Play it again Tyrone!’ He was amusing, though: his dancing made me think to excuse Theresa May as a dancer with potential. Kenanao had asked me whether I would be able to come back for the Gaborone Book Festival. Prior to my visit in August, I had told her that I might be unavailable because of too busy a schedule. 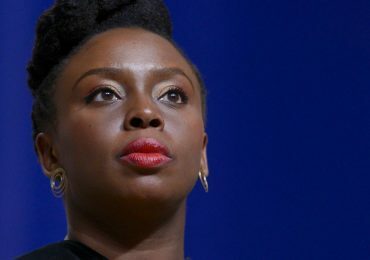 After the visit, though, I decided I would find a way to make it—despite an itinerary that included being in the Eastern Cape for a reading at the Steve Biko Centre a day before the festival started. Fast forward to 21 September, when I land in Gaborone. Kenanao picks me up at the airport and drives me to join the other participants, who have already arrived. The going is slow at first and Kenanao keeps apologising for ‘the traffic in Botswana’. I try hard not to laugh. Failing, I tell her that compared to Nairobi, Kampala, Lagos or even Dar es Salaam at certain times, this is practically free-flowing. When we finally get to lunch, I find that Abantu Book Festival founder Thando Mgqolozana has come through to show solidarity with Gaborone’s inaugural event. With him is Botswana heritage enthusiast, and author of the cookbook Taste of Botswana, Ednah Rosen. Soon we are joined by Lauri and Keikantse. Not too long after, Dr Molema, Mary Lederer and Everyday Matters author Margaret Daymond join us. As we wait for our food, Keikantse asks whether we would like to get our nails done as a thank you. I like freebies so I decide to join Lauri and get mine done. I haven’t had my nails done in years. As my hands are being massaged with oils, nails filed and painted, I am surprised that my fingers don’t become paralysed from the shock of it all. After getting nailed (a wink to Niq), we get our food. I am knackered and had hoped for a nap, but my being a liker-of-free-things means that when I get back to the hotel I am only able to shower and change in time for the opening ceremony. The opening ceremony is well worth not sleeping for and I am glad I didn’t pretend to be ill to miss it. There is some haunting and beautiful music by Ntirelang Berman. Small in stature though he is, on stage his performance takes on a life of its own and makes him seem larger than life. This is followed by a short and sweet welcome speech by Kenanao and remarks that hit all the right notes by the Director of National Records and Archives, Peter Choto, there to represent the Cultural Ministry, which is one of the sponsors of the festival. Another sponsor, Orange, has provided free Wi-Fi at the venue, so we hope the world is following as we tweet, Facebook and Instagram away at the event. 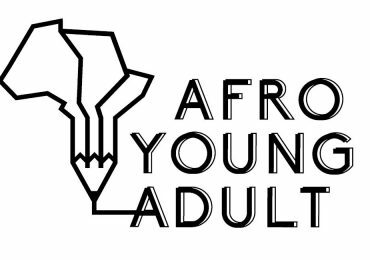 In Mr Choto’s speech, he informs the audience that the event is not just for writers and publishers but for all Batswana, who, he urges, should take advantage of the presence of authors to buy books and get them signed. Sebilo Book Services: For Book Lovers, owned by Motswana writer Kopano Sechele, is the official bookseller at the festival, and to judge by its brisk trade those who came through obviously paid attention to Mr Choto’s speech. (Rather unfortunately, the Gaborone branch of South African chain Exclusive Books is closed during the weekend: word is they are moving to a different location. One can’t help but wonder whether it was the best time to close and move from the Riverwalk Mall, where they have been located for years, given that Botswana is finally having its very first book festival, whose delegates are staying at the Indaba Lodge, less than ten minutes walk away.) After a short break, two panels keep the audience riveted. The first offers a reflection on the writer South Africa lost to Botswana, Bessie Head, discussed by Margaret and Leloba. The second one is a little less sombre but still informative, featuring two Batswana writers, one of whom writes thrillers. By the end of the events, Niq and Outlwile Tsipane, who drove from Johannesburg, have finally arrived. The party is at the hotel pool but I shall not be joining. Instead, Donald and a Nigerian filmmaker friend, Joseph, decide to take me out. When we get to the joint of choice, a little before 10.30 pm, the bouncer tells us they are closing. Donald is convinced there is another spot we can find but when we get there, everything is closed, save for one place where the house music is so loud it can be heard from blocks off. It would be impossible to have a conversation so we end up hanging out at a friend’s home instead. Saturday is a busy day with ten panels scheduled. I take part in two. It’s also the day that what I suspected following the reading a month before is confirmed. Botswana is in need of trade publishers. 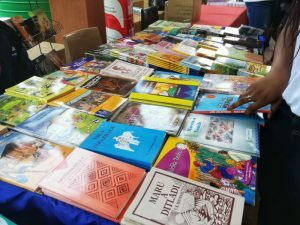 The publishers here are focused only on publishing books for schools—and while this makes sense from a business perspective, as there is ready money from the Department of Education, it hasn’t helped the growth of literature in the country. 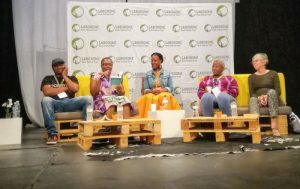 Both Lola Shoneyin and I, on one of our shared panels, highlight the need for Batswana writers to look beyond their borders when thinking of publishing. Every panel that I attended, whether as an audience member or as a participant, was well-thought-out, well-moderated and, most importantly, well-attended. The first panel of the day, with Blackbird Books’s Thabiso Mahlape and Diamond Publishing’s Goememang Mogapi, required more chairs to be brought in—and still people sat on the floor! Thereafter the organisers quickly changed things, and most events took part in the hall where the opening ceremony took place. The Gaborone Book Festival was, in short, a well-organised and very successful affair. My one little criticism amounts to a wish for the children’s programme to take place in the same place as the panels. This would allow parents and children to enjoy the festival together. In the evening, our hosts took us for dinner at the beautiful Thapong Visual Arts Centre, where we had great discussions—but still left before 11 pm. Back at the hotel, the staff would not open the door to the pool area, and the party animal in me got involved at last. I told the writers to come and chill in my room. I would sleep when I got to Joburg, I said to myself, as the last person left at 4 am. I had to be at the airport five hours later, but at least we had made it past midnight in Gaborone. Zukiswa Wanner is an author and founder of the publishing house Paivapo. I could picture the events unfolding as I was reading your feedback. The build up book sessions were also on point. Such a great culture that the Pheles are cultivating in Botswana.